Robert Griffin III Got Married To Girlfriend Grete Sadeiko. What About His Ex-Wife Rebecca Liddicoat? Home / Robert Griffin III Got Married To Girlfriend Grete Sadeiko. What About His Ex-Wife Rebecca Liddicoat? NFL star Robert Griffin III married Grete Šadeiko on 3rd March 2018. He was previously married to his ex-wife Rebecca Liddicoat. The couple of Robert and Grete had an extravagant wedding which included her family and friends in Miami. The hot star is officially off the market again. The American quarterback Robert Griffin III married Estonian beauty Grete Šadeiko on 3rd March 2018. Robert and his long term girlfriend had an extravagant wedding in Miami, Florida. 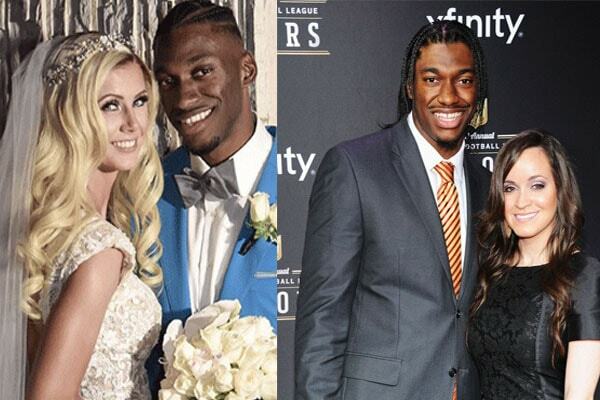 Robert Griffin III and his wife shared a lot of their wedding photographs on Instagram. Robert Griffin III shared a picture with a quote expressing his passionate love towards his wife. He said that her first name is Grete and last name Griffin. First name Grete, Last name Griffin. The Heptathlon player Grete Šadeiko and Robert Griffin III also have a daughter Gloria Griffin who was born on the 2nd of July 2017. Robert Griffin III and his ex-wife Rebecca Liddicoat married on July 6, 2013. They have a daughter named Reese Ann Griffin, who was born in May of 2015. Robert Griffin III and Ex-wife Rebecca Liddicoat had a stressful divorce. Image Source: Sportsnaut. Robert Griffin’s ex-wife Rebecca Liddicoat is a native of Boulder, Colo. She has majored in Biology and was president of CHI’s Service Club. The marital life of Robert and Rebecca ended because Robert Griffin III had cheated on his baby mama. Rebecca tried to repair the relationship until she noticed Grete Šadeiko’s name on Robert’s arm. And then Robert Griffin III filed a divorce against his now ex-wife Rebecca Liddicoat. Griffin claimed that they could not stand each other. Robert Griffin III’s ex-wife restricted his access to Reese. The loving father filed court documents to challenge Rebecca Liddicoat. The divorce settlement between Robert Griffin III and Rebecca Liddicoat included the Texas family home they once shared. Furthermore, Robert refused to pay the equal fair market value of their Texas mansion. It was bought for $2.2 million and valued $3 million. Rebecca Liddicoat claimed that her ex-husband cut her credit cards. Griffin knew that Rebecca was unemployed and she needed almost $36,000 a month to maintain the living standard. 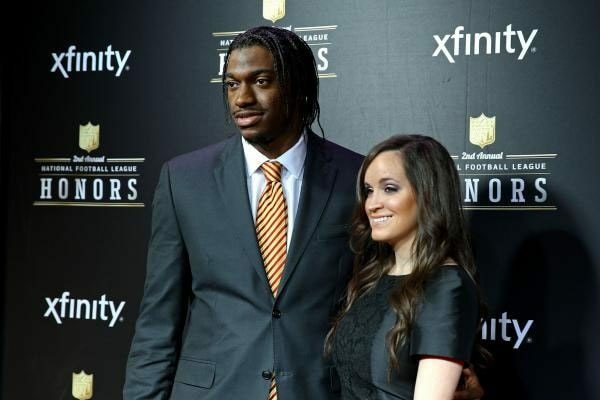 Robert Griffin III stated that due to a busy schedule, he was unable to pay Rebecca. The ex-wife of Robert Griffin III, Rebecca Liddicoat is is still single after a messy divorce and for the time being, under the radar.